BENGALURU: Film director Hemanth Kumar from Haveri belongs to the Banjara community and holds the distinction of having made and released one of the first movies on the community back in 1995. His fourth and latest movie, ‘Sonesarik Beti’ that will be screened at the BIFFES today talks about farmer suicides and tells the tale of a girl who works for the progress of a village where such incidences are aplenty. “There are around 50 lakh people in the Banjara community spread throughout Karnataka. Most of them live in the fringes of forests. My movie tries to explore how it is possible to find a solution to the problem of farmers suicides and dissuades people from resorting to such measures, I have a girl as my protagonist who helps people see this point of view” says Kumar. The movie title literally translates as ‘Golden Daughter’. Unlike mainstream Kannada movies that have a wide audience, Kumar has to struggle with all aspects of film making right upto the distribution and even screening. “For my first movie theaters were not willing to play the movie. As a result I had to travel with with the movie and screened it wherever I could,” he says. He also make sure that the movie is screened in the right season. “For around six months in a year most of the Banjara people are out of the state in Goa or other places working. So I make sure that I do not screen my movies then,” he says. Another movie, ‘Talang Neer’ or ‘Fresh Water’ written and directed by Gopi Peenya talks about the slow urbanization and the gradual decline of the natural habitat of the Kodavas in and around Coorg. The movie uses the story of a soldier who comes back home after his stint in the army, only to find that nothing is the same anymore. 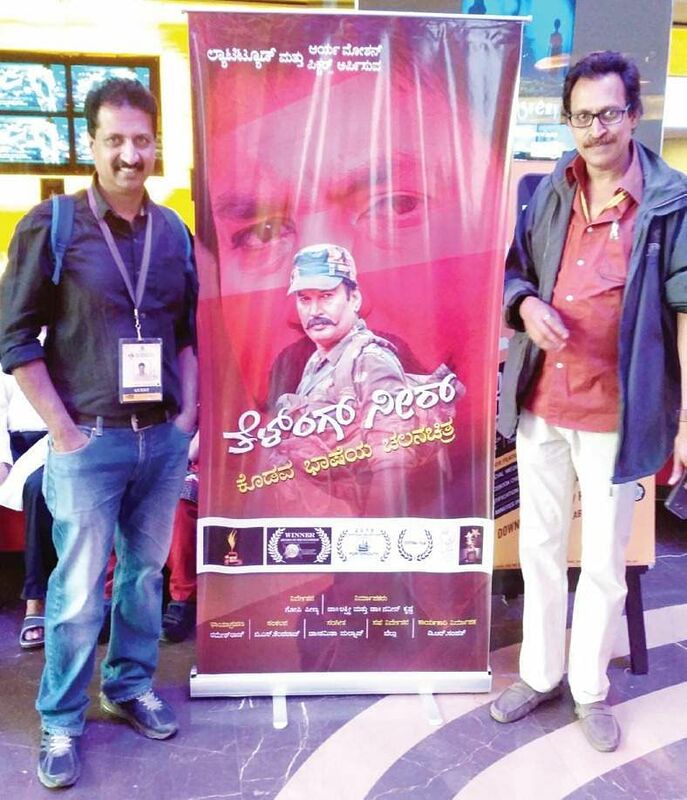 The movie was inspired from regular trekking trips that the director and the movie’s producer, D R Sampath took to Coorg. “We have been visiting the region for the past 3 decades and saw the rate of the changes that were taking place. We therefore decided to make a movie of this,” he says. The team has been screening movies in various places of Coorg such as Madikeri, Virajpet since there are very few halls in the region. “We have got a very good response and there are demands for it to be screened even in Bengaluru.” The movie has been a part of festivals in US and UK as well and was screened at the BIFFES on Wednesday.